The course started on 23rd April and the duration was 10 weeks. It was an exhilarating opportunity to learn about this cutting edge field. 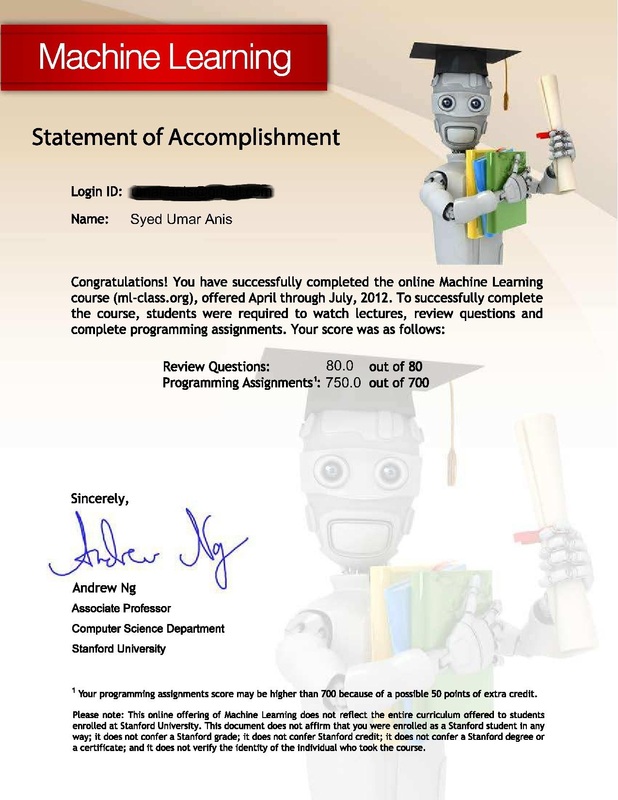 The distinctive feature of the course was weekly programming assignments in Octave which were automatically evaluated by Coursera.org. Also the course was very well organized, we can expect that as it was offered by the co-founder of Coursera. How did you manage to get 750 out of 700? nevermind I just saw the small print!